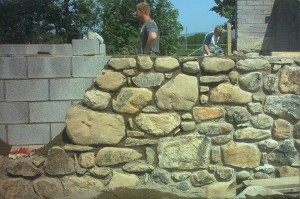 As a trained and time-served stone mason in Gwyneed, along with other qualified stonemasons on the team we are able to cope with a range of jobs in stone. 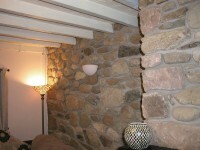 We can work with dressed stone, semis-dressed stone and random stone as well as slate. 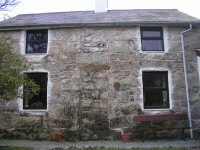 The tradition of using stone and slate for building in Gwynedd and much of North Wales was based on their easy availability. Slate in particular has become a premium product. Although the materials may have been cheap or free, a high level of skill was and is required by qualified stonemasons to produce high quality work that will last for many years to come. 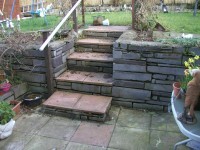 We can construct retaining walls to enable terracing of sloping land to provide more usable space. See Landscaping, Fencing and Gates. 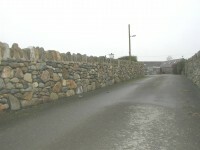 We can build and re-build or repair dry stone walling for boundaries in a number of different styles, finished with coping stones or to contain hedging as required. 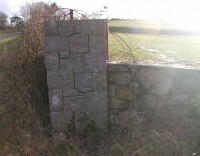 Properly built dry stone walls should have a lifespan of up to a century before requiring further major maintenance. 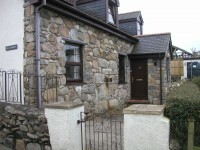 We undertake stone masonry in Gwynedd, Anglesey and Llyn Peninsula including Criccieth, Pwllheli, Abersoch, Aberdaron, Nefyn etc.